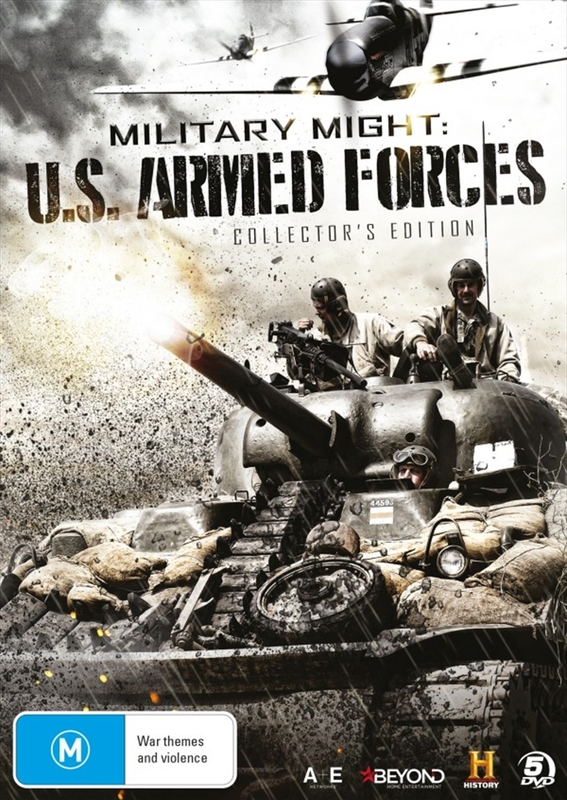 A mighty compendium of Americas most vital military branches Army, Navy, Air Force, Marines and U.S. Coast Guard this U.S. ARMED FORCES Collector's Edition trumpets the myriad strengths of one of the worlds greatest military powers.Plunge headlong into the great battles fought on land, sea, and air. Marvel at the arc of musket to missile. Meet the key figures and lesser-known heroes who have shaped the organization, the strategy, and the future of the United States armed forces. Encompassing over two centuries of courage and conquest, these 14 episodes march through Americas military development from its earliest battle days to the technological wonders of the Gulf War.With official government documents, extensive combat footage and commentary by historians and decorated veterans, MILITARY MIGHT: U.S. ARMED FORCES is a full-scale, full-dress salute to the men and women who give and have given to Americas fight for freedom.